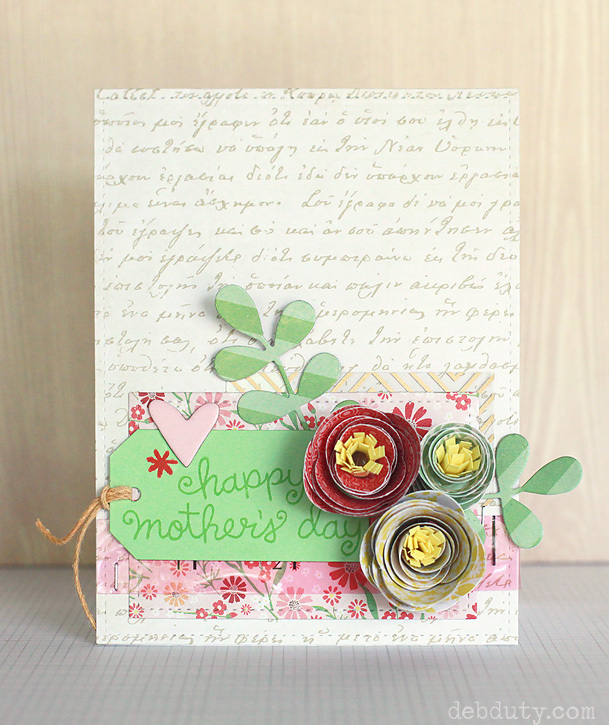 The MFT Modern Blooms stamp set has so many lovely flowers with multiple stamps to build each little bloom. There are also matching dies to cut out the flowers and leaves. 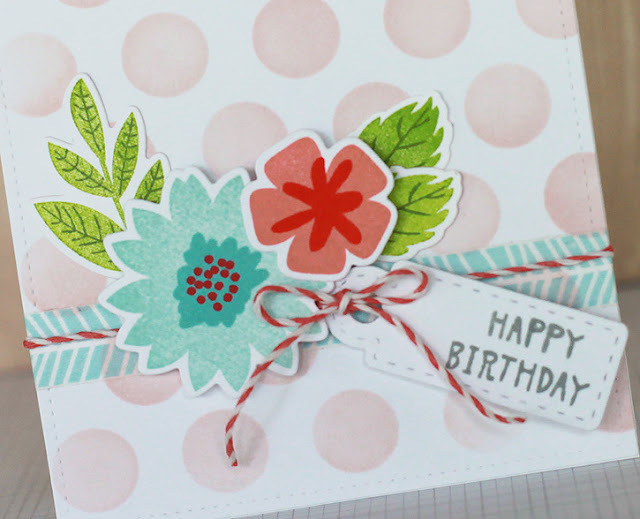 I created a birthday card using two of the blooms along with some washi and twine and a stenciled background. The background was created with tattered rose distress ink and the MFT jumbo polka dot stencil. I tied on a stitched tag with the sentiment over a strip of washi tape and layered my flowers and leaves on top. I'm linking up with the Simon Wednesday Challenge where the theme this week is stencils. Check it out for lots of gorgeous inspiration! 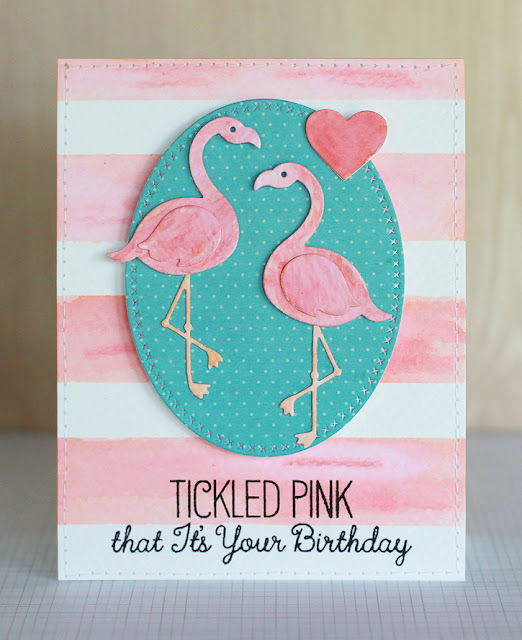 I was asked to guest for My Favorite Things recently and was given some products from their May release to work with including these fun flamingo dies! I cut out the flamingos on watercolor paper and then used four different shades of pink and orange distress inks to color them in. I painted the stripes on the background with the same colors using washi tape as a mask. The sentiment is from the Tickled Pink stamp set which has a big variety of sentiments perfectly suited for flamingo cards. I used my sewing machine for a stitched border around the edge of the watercolor paper. 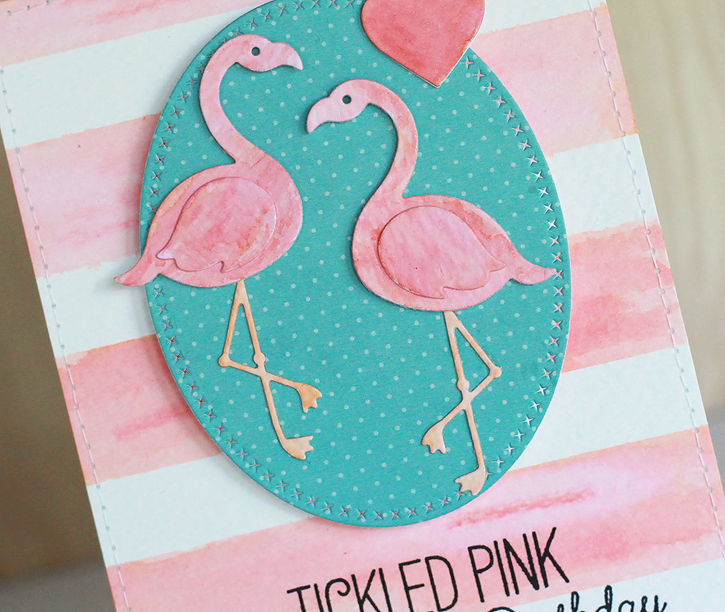 The flamingos and heart were placed on a cross-stitch oval cut out of patterned paper from the Dots and Stripes Pad from Studio Calico. I took a little break from crafting for a few weeks, but now I'm back to loving my stamps and making cards. I had to make a card for my mom because she appreciates my handmade cards more than anyone else I know. And that got me back in the mood to get back into it! I was excited to use the lovely MFT rolled scalloped rose die. It's such a pretty little flower on a card! 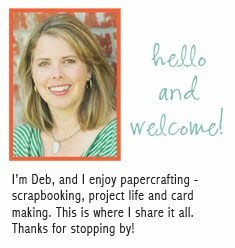 Here are the details on how my card came together. I used papers from the Echo Park For the Record 2 collection. I've had it for a few years, but I still love these papers. I cut a tag out of green cardstock with a Studio Calico tags die. I stamped the sentiment and red flower with Lawn Fawn freshly cut grass ink and Studio Calico well red ink using the Lawn Fawn Mother's Day stamp set. 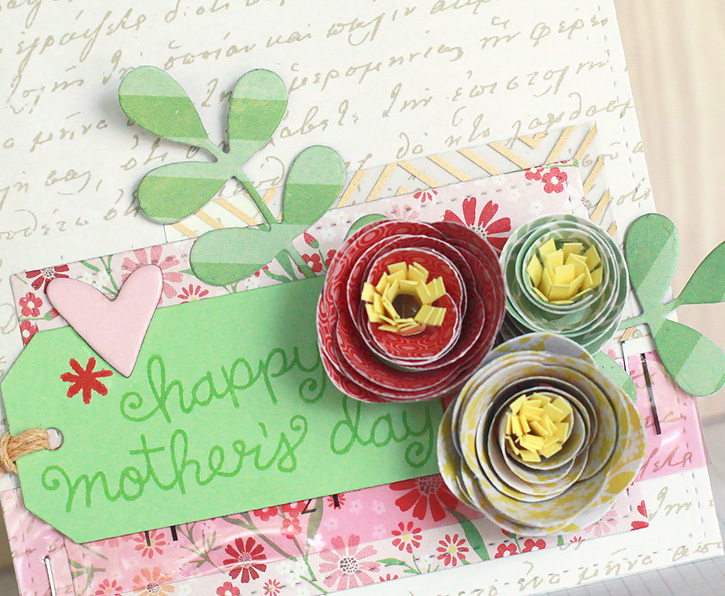 The flowers are cut from the rolled scalloped rose and rolled flower dies from MFT Stamps. 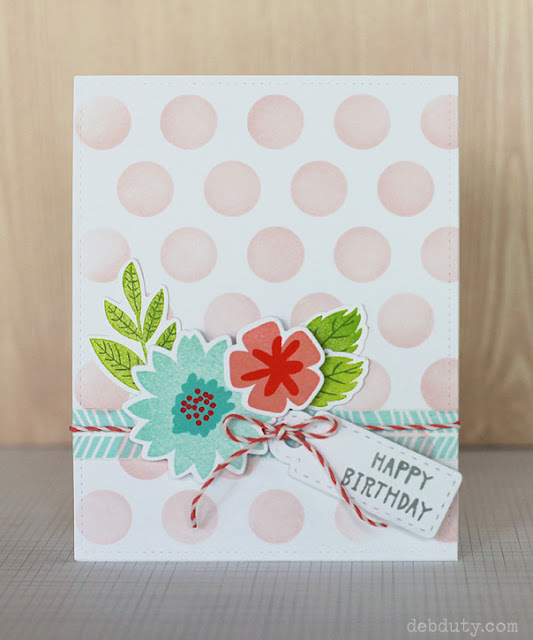 The flower centers are from the Dear Lizzy serendipity die set and the vines are from MFT blueprints 14.